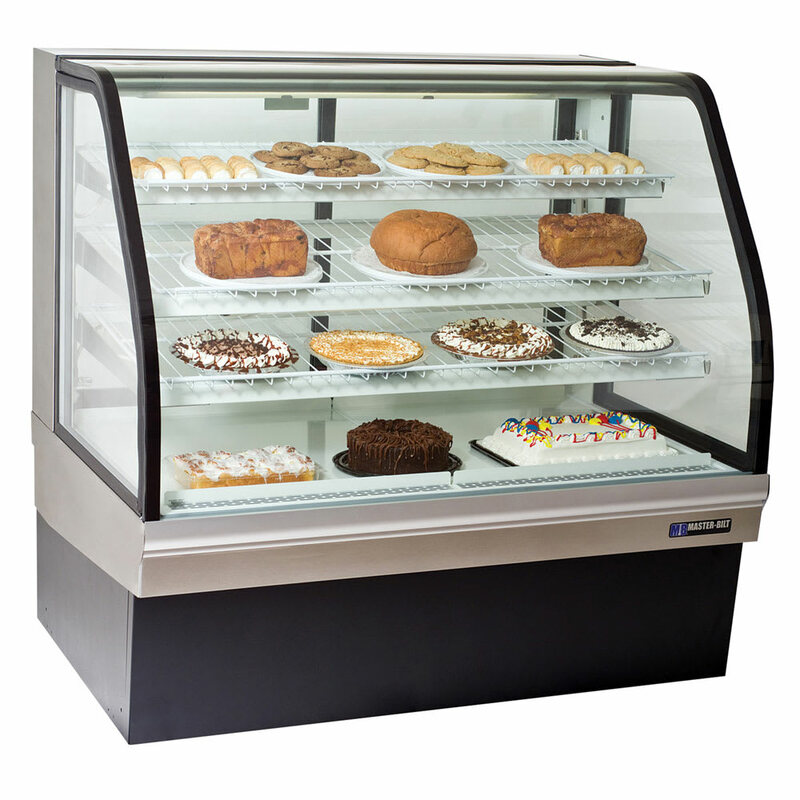 The Master-Bilt CGB-77 curved glass bakery merchandiser is ideal for holding bread, cakes, cookies, and more on six white wire shelves. With tilted shelves and curved glass making the baked goods visible, the tempered glass ends are double paned to reduce condensation and help the unit maintain set temperatures. The front glass tilts outward for easy loading, unloading, and cleaning. The doors in the back are sliding, so filling the merchandiser and grabbing baked goods for customers is easy. The lights, shelf supports, and shelves are removable, making cleaning the unit simple. The black trim on the unit allows it to fit into any foodservice establishment. In settings where the floor is uneven, this unit comes with leveling legs to correct the problem. While there is no required clearance on the sides of the cabinet, the front, back, and top must be able to open for operator and customer access. 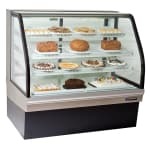 The Master-Bilt CGB-77 curved glass bakery merchandiser is NSF certified for storage of open foods.